Eroica Britannia is back for another amazing weekend in 2018 and will continue to recreate the Italian event on British soil, mirroring the original Italian ethos and celebration of values such as sustainability, territory, environment, heritage, well-being and the joys of local food and drink. 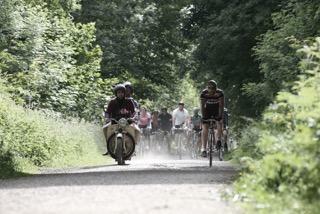 The three-day festival includes a tour of the Peak District National Park on Sunday 17th June offering 25, 55 or 100-mile route options, some of which will be on ‘Strade Bianche’ white trail roads and unmade roads through all three trails of the Peak District: the Monsal Trail through Victorian tunnels and viaducts, as well as the Tissington and High Peak Trails to High Peak Junction. Riders must use pre-1987 steel bikes and apparel to get into the retro spirit of the event. The festival will take place at a new location at Newhaven, 6 miles from Bakewell and will include vintage bike stands alongside current bike brands,, live entertainment, food & drink and much more.”We are delighted to present Eroica Britannia in the UK. The location of the event was incredibly important to us, one which values and celebrates the joy of the bike and the symbiotic relationship riders enjoy with the British countryside. We feel the Peak District National Park shares our values of championing sustainability and preserving environment as well as celebrating our heritage. We are immensely proud to be bringing this historic event to the UK once more, creating The Great British Adventure and history in the making. 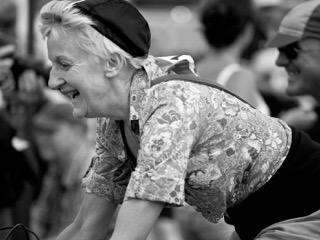 The original L’Eroica event in Italy started in 1997 as a celebrated of cycling heritage and has grown to quickly become one of the most popular international cycling events with more than 7,000 cyclists taking part. Gusto Cycling is happy to arrange accommodation in Bakewell (6 miles) and in Hartington (4 miles) from the festival at Newhaven (you can cycle to the festival) together with vintage bike rental and guaranteed registration for the event. 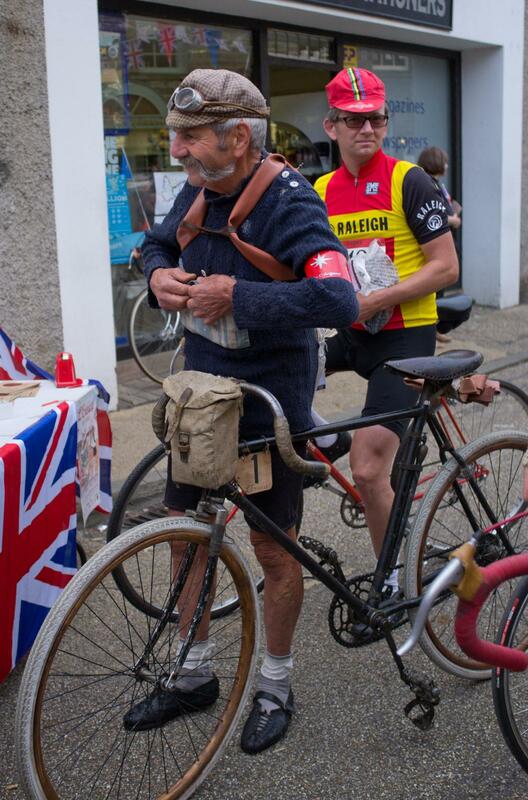 Please email marco@gustocycling.com to register your interest in Eroica Britannia cycle packages. With original features like wooden beams, each light and airy room is located in either the main house or the converted former stable block. Rooms include an en suite bathroom with a hairdryer, along with free tea and coffee. Some rooms boast grand half-tester beds, free Wi-Fi, and bathrobes. The stylish restaurant provides a regularly changing menu, made with excellent local ingredients, while hearty meals and afternoon teas are provided in the cosy bar with its open fire. A specially created wine list is available, as well as a range of real ales in the bar. We can books rooms at a number of bed & breakfast properties in Bakewell, all within easy reach of the festival at Newhaven. We will supply specific information on your bed & breakfast accommodation at time of booking. All bookings include 3 day festival pass. 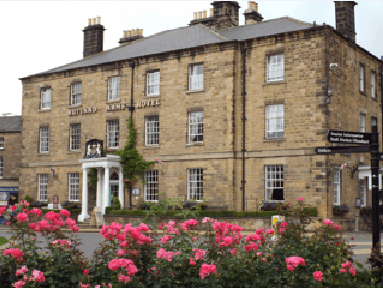 The Rutland Arms Hotel – Bakewell. 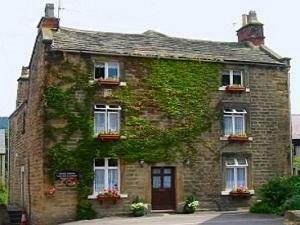 This 19th century hotel is in the heart of the Peak District, located in Bakewell’s historic town centre. Free private parking is available and the hotel has its own restaurant and free Wi-Fi access. Both Haddon Hall and the Chatsworth House Estate are a just a few minutes’ drive away. Arrival Friday 15th June – 3 nights bed & breakfast accommodation and guaranteed entry plus all bookimgs include 3 day festival pass to the event as well as advance information for the Eroica Britannia, including routes and advice throughout the year leading up to the event.